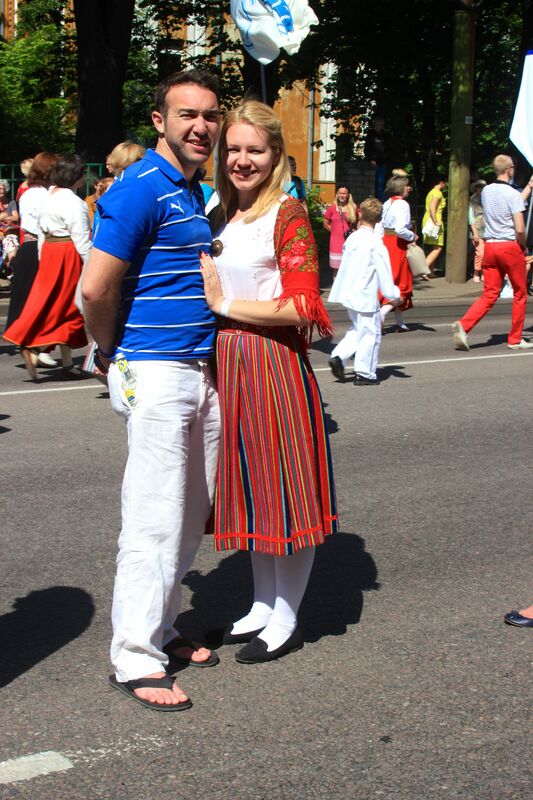 Every five years Estonian people stop quarrelling in the queue, talk to their neighbours, chat to strangers in public transport, show emotion and dust off their traditional costumes. The low salaries, the high cost of living, the horrible daily life of this Eastern European province where nothing good ever happens suddenly disappear and all things Estonian get elevated into a holy status. We suddenly realise how awesome we are, how great our country is and what wonderful history we have. So we sing and dance about it altogether for one weekend. Along with the singing, a Dance Celebration takes place. 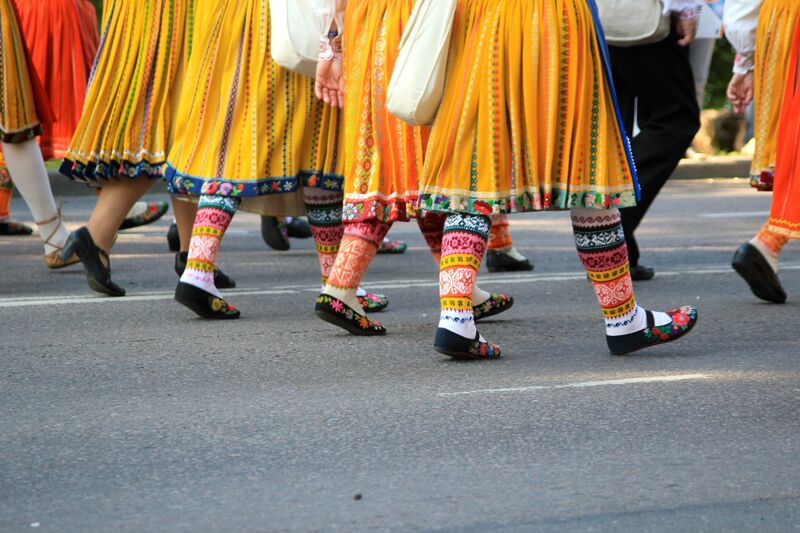 Around 10,000 dancers form beautiful patterns with folk dances. 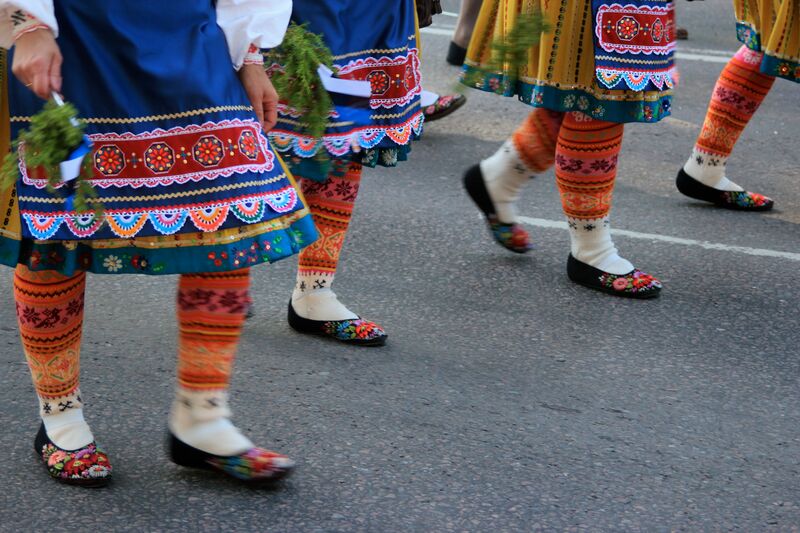 The dancers and the singers dress in traditional outfits, which we have many. 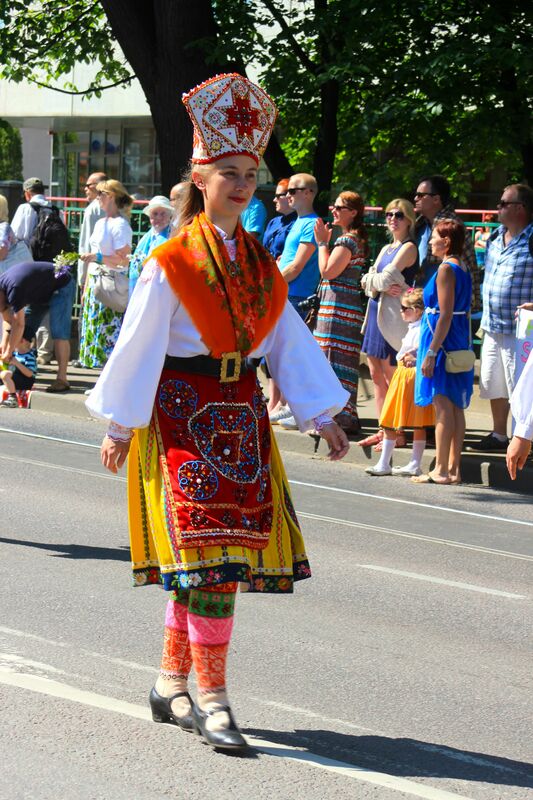 Each town, parish and village has their own clothes with different patterns, jewellery and style. The first Song Celebration took place in 1869 in Tartu. 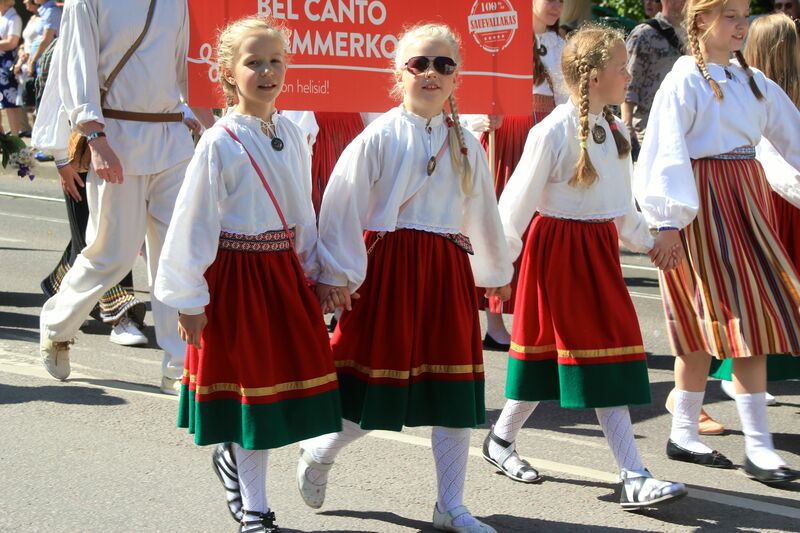 It was organised by leaders of the enlightenment period to celebrate the Estonian people’s freedom from 700 years of slavery. That time only men’s choirs and brass bands took part, but the Celebration has grown over the years and this weekend we saw 33,000 singers and an audience of over a 100,000 people singing in unison. The songs are very patriotic and often talk about fatherland, dying for your country and freedom. 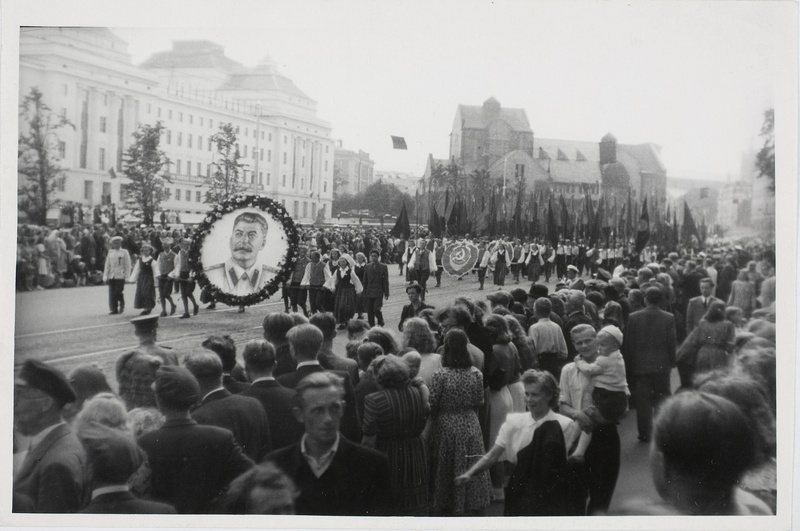 These Celebrations took place throughout the Soviet period, however, songs about Communism, featuring Stalin and Lenin’s quotes were a big part of the repertoire. People had to wear Soviet slogans and badges. Despite having to succumb to the foreign power’s way of doing things, numbers of people went to those Celebrations and took the opportunity to sing forbidden songs. They could not be stopped due to sheer number of singers. This is one of the things that kept alive the Estonian spirit throughout the Soviet times. When the 80s came and people had really had enough of being a part of the union, a lot of spontaneous Song Celebrations were secretly organised. 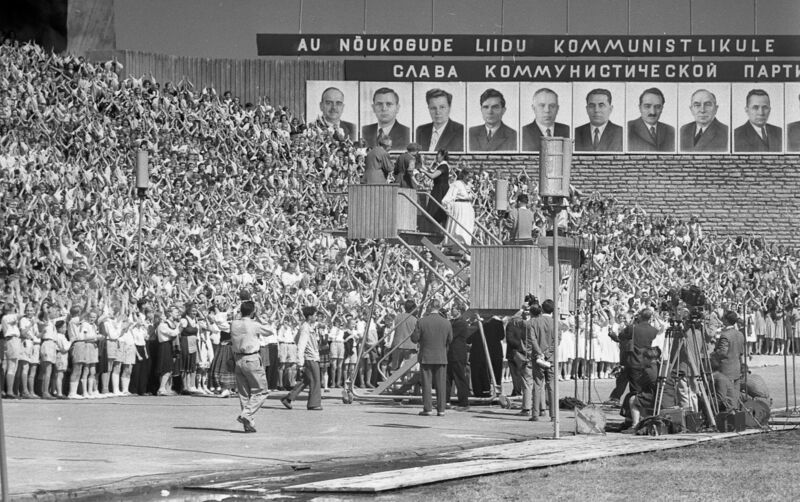 People from all over the country got together to sing specially created and modified songs, forbidden by the Soviet authorities. The Soviets soon realised that Estonians are not ones to be messed with, the united spirit and the desire for freedom were so strong. So they packed their bags and the Republic of Estonia was declared for the second time on the 20th of August 1991. This is now known as the Singing Revolution. A revolution in which not a drop of blood was shed. 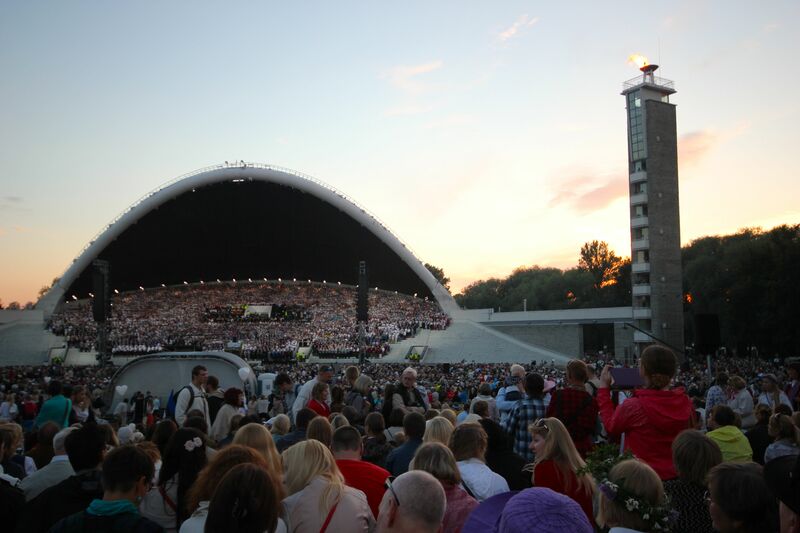 The Celebration lasts for two days with choirs from all over Estonia and further afield taking part. 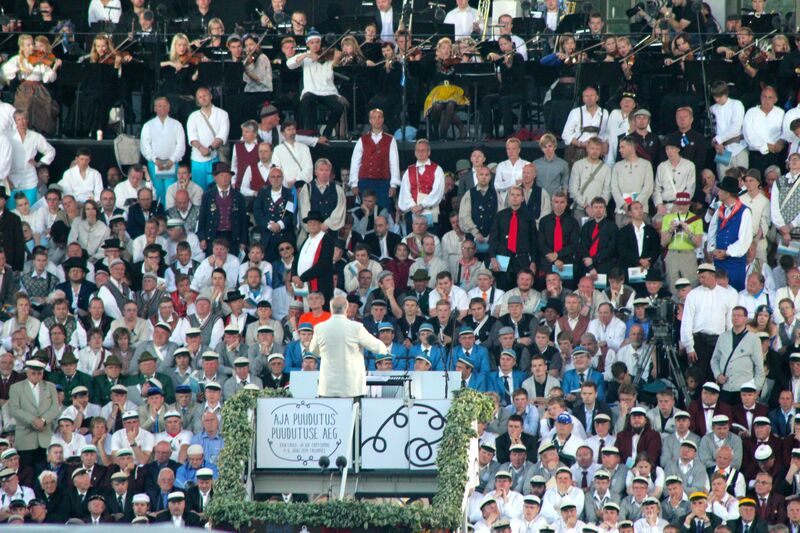 This year we even had a choir from China singing in perfect Estonian without understanding a word they were saying. Such is the reach of our Song Celebration. My grandma went to the Song Celebration for the first time since we regained our independence. She took part as a singer and dancer a lot of times, last in 1985. I asked her how she felt about it this time and she said it was very different. She was so amazed that people could sing all the songs that were once forbidden, she said she felt that people were ‘freeing’ from something. I am not sure what exactly she meant, but she was so happy to be there. It’s an emotional time for us Estonians, so a lot of shaky voices are heard and tears are seen. The Celebration starts with a procession through town with people cheering on and shouting ‘elagu’ – long live to whoever they recognise. The traffic in the centre of the capital is closed completely, another sign showing how important the event is. As soon as all the singers have reached the big purpose built stadium singing the national anthem opens the Celebration and the flame is lit. The first concert lasted until midnight after which the audience and the singers walked back to their various accommodation, all singing away to make the walk even more merry. The second concert took place the next day and lasted for 7 hours. But this was no serious concert where you sit on your chair and clap at the end of each song. It was a whole family event, where everyone sitting next to you became family for those two days. We spent the sweltering hot day with friends and family trying to cover our blonde selves from the sun. Different types of choirs took turns to perform songs especially written for them and old favourites, which everyone could sing along to. The young children’s choirs took the stage first, all aged between 6 and 8 and sang away extremely enthusiastically. They also added some moves to their songs, which made it even more fun to watch. The orchestras, male, female, children’s and mixed choirs all had their turns and gave excellent performances while we tried to mimic the sopranos and failed miserably. The climax of the event was when all the singers stood on the stage and the audience sang most well known songs with their voices meeting and making the whole place roar with songs to the fatherland. David’s parents were here for the Celebration and loved it despite not being able to understand the lyrics. David’s getting quite good at singing ‘Mu isamaa on minu arm’ – my fatherland is my love. The next Song Celebration will be a special one – 150 years will pass from the first one. A huge number of people and participants are expected. 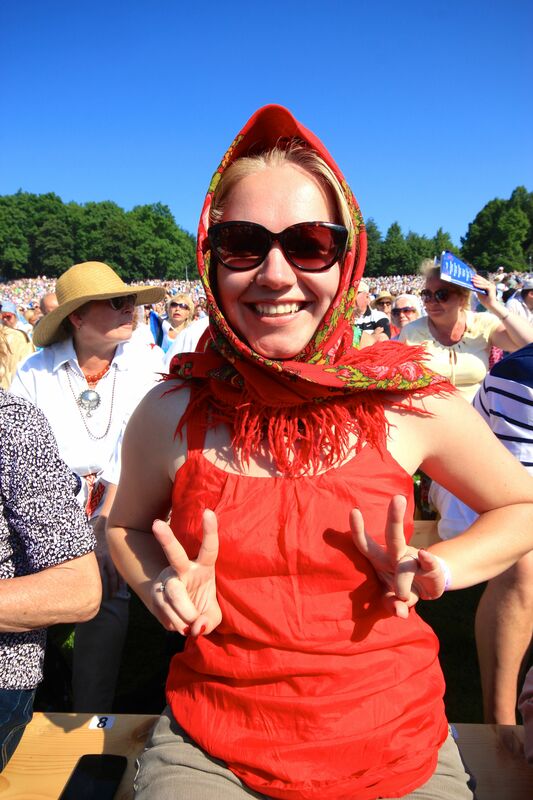 It’s hard to believe this event can get any better, but it stirs up something special every year and again and again makes Estonian people be rightfully proud of their country, culture, language, traditions and people. 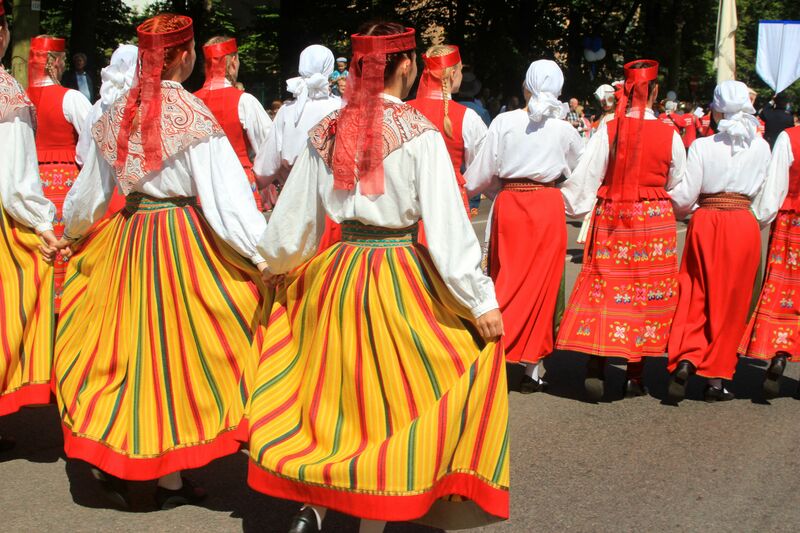 Posted in Estonia, PlacesTagged choir music, Estonia, Estonian culture, estonian song and dance celebration, laulupidu, Singing Revolution, Song Celebration, Tallinn, traditional estonian costumeBookmark the permalink.